Credit for this binge goes to lkeke35 and I couldn’t be more thankful for this recommendation because I have thoroughly enjoyed every single minute of this horror binge. Granted, I don’t believe it is as jump scare worthy as the likes of American Horror Story but the plot remains as delightfully as spine chilling which in my opinion stems from the cast’s incredible performances. Across the board Penny Dreadful has been luring in up to 5 million views with averages of 1.43 million on premiere night on Showtime alone. The series has also snapped up multiple nominations and awards including a Critics Choice Television Award for Most Exciting New Series of 2014. The series protagonist is one Vanessa Ives as played by Eva Green; a vision in black with darkness snapping at her heels. Timothy Dalton stars alongside her as Sir Malcolm Murray who is desperately looking for his daughter Mina…who if I have some fellow Literature junkies reading this will recognise that name from the famous Dracula by Bram Stoker. The characters featured in Dracula are not alone in the interweaving of the classic literature in this show, Penny Dreadful introduces one Dr. Victor Frankenstein as played by Harry Treadaway, Dorian Gray as played by Reeve Carney and various others as you may never have seen them before. There is so, so much I wish to just completely spout and rave about but this show is as cleverly woven as an intricate spider’s web and I feel that giving away any more of the plot than I already have, will ruin the impact of the twists that they have subtly drip fed you until the very moment the shock is revealed. However, seeing as I’ve already introduced you to the rather enchanting casting for Victor Frankenstein (who I must say is my personal favourite) I’ll give you an example at how sophisticated this story telling is. The pilot introduces you to Victor Frankenstein at first as nothing more than a nameless, arrogant man who knows how to carry out a post-mortem and then suddenly as the episode unfolds it provides you with hints and clues as to this man’s real identity but not overwhelmingly so and not revealing it until a perfectly placed point that leaves an unexpected viewer surprised…one particular viewer having been me. There are other notable characters that despite not having a recognisable identity create more enticing tangents for the narrative which only begin to set alight possible theories of where their character’s fate may lead to. That’s what the show does to you. You eagerly await each and every character’s storyline as some may not be who they seem or suddenly one character takes on the role of another you are familiar with…oh it is so difficult to hold back but I must! Fun Fact: This will be the third role that actress Billie Piper has played in which her character is a prostitute/stripper. She noted this fact in a recent interview with Alan Carr and says it is her last. The above Miss Brona Croft is a character I feel particularly protective over and that is not just because I was once a passionate Whovian. One of those positively endearing characters, Brona doesn’t seem to ever suffer enough under the hands of the writers but neither do any of the characters which is why I look upon this series so fondly; attachments are formed. I just want to give her a hug okay? Her Irish accent is warm and witty, and in guessing where her story would go by the end of the series I was exceedingly excited to see it play out. All in all this is a wonderful supernatural set up that manages to carry that label and yet not ply you with so much of it you are sickened by it and that is easily done with the plethora of supernatural inspired television shows recently. It balances the fantastical with the reality neatly and precisely while staying true to the period and encompassing these literary figures in a near believable world. You should also brace yourselves for the most intense performances from Eva Green that I was utterly awed by. It is worth the watch for her alone! 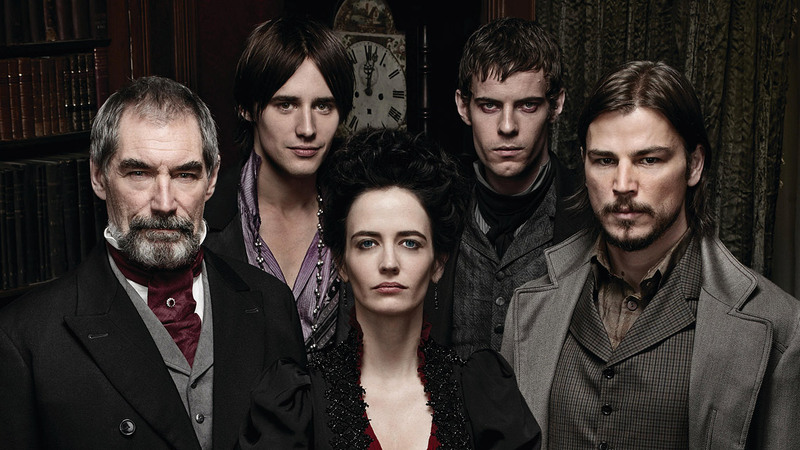 You can watch Penny Dreadful on Showtime and Sky Atlantic or the First Season is now available for purchase on DVD. What do you think of the horror genre making it into television? Do you think television is providing better quality horror than Hollywood right now? Have you seen Penny Dreadful yet? If so then please let me know what you thought of it in the comments! Also check out my twitter @bingebox for latest updates, live tweeting of my binges and general TV goodness. Thanks! I only just started blogging about the new season. I’ve skipped over talking about the first season because of all those surprises you mentioned and its my way to encourage people to watch the first season. You’re right. It’s not actually scary the way AHS is consistently scary but it is dark and gorgeous and creepy. The costumes and actors are elegant and Eva Green is a FORCE. It’s worth watching just for her. OMG! I had no idea I was looking at Billie. I’m not a Whovian, so I kept sort of vaguely wondering where I’d seen her before and just totally not putting it together. I like that actress a lot though. I like all of them but my favorite is Ethan. I’ve been a Hartnett fan since his I first saw him on screen in the TV show Cracker, over 15 years ago. Some actors you just immediately fall in love with. But thank you. I hope this post goes on to spur more people to give the show a try. No problem, thank you for the recommendation! Ahh that’s great, I’ll definitely be checking out those posts no one else I know watches it. I couldn’t agree more with ALL of the awesome above comment. 🙂 And I didn’t know Hartnett was in Cracker! I’ll have to go back and watch it. Thanks again! Ah, a fascinating question, and one I’m surprised I haven’t asked myself: Is television putting out better horror than Hollywood? I must say, I have been quite impressed with some TV horror shows lately, among them “Penny Dreadful,” “American Horror Story” and “Bates Motel.” In fact, both “Hannibal” and “True Detective” have entered my list of favorite shows in the history of television. After hearing that the ‘It’ remake was being cancelled I thought about this all the more! I’m not a fan of horror films at all but I can’t get enough of this genre in television, I’m actually watching Bates Motel right now. 😀 I love it and with Hannibal coming back my Summer is made. Heh. Nice. And good point about the “It” remake. It was supposed to have been directed, in fact, by Cary Fukunaga–the man who directed the first season of TV’s “True Detective.” Further evidence of TV as the superior medium to get stuff done? Really nice post. I still didn’t watch Penny Dreadful, but I’m looking forward!